Learn how to choose the perfect hosting for your app. Aren’t you tired of comparing hosting services and prices? 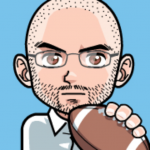 Is your credit card company calling you every other day because of massive AWS hosting fees? The Cloud Hosting Handbook will show you how you can make the best choice for your own needs and how you can know in advance how much it will cost to host your app. I close my eyes and I see tables comparing prices and services. Please just tell me what hosting to get. You're looking at the extreme competition in the hosting market, with thousands of companies seeking your business: their prices go down, they offer more and more features but at the same time they drown you with brochures, irrelevant comparisons, useless data sheets. How can I sustainably run a website without charging a fee? Everyone who had to pull 48 straight hours to decrease server load and has seen their pay go out of the window in AWS hosting fees knows how that feels. But at least they're online, unlike those who have opted for the cheapest plan they found and whose website is down 5 minutes after being posted to Hacker News. All of those questions mean that there's no single answer that works for everyone: every founder, every CTO has to find their own answer, based on their unique needs. 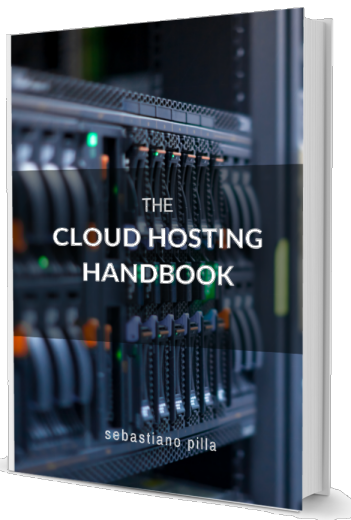 But there's an easier, methodical way to find it that doesn't involve weeks of searching, uncertainty and fear of choosing the wrong option: The Cloud Hosting Handbook shows you how. You will learn why AWS or GCE are good choices if you're building the next Datadog, and why you will be better off with Digital Ocean or Vultr if your project is the next Medium. I've made The Cloud Hosting Handbook short and to the point: you can read it in an evening and save weeks of research and indecision. What kinds of hosting does the market offer? In this opening chapter you will learn what kinds of hosting you can find on the market today, what are the characteristics and limitations of each kind and which hosting services you should look at for your project. In this chapter you will learn a method to search the hosting market, starting from established and trustworthy providers and ending up with a shortlist of 2 or 3 providers. This chapter is all about comparisons: you will learn how to compare 2 different hosting offers, why comparing on prices only is wrong, and what subjective factors will ultimately lead to your decision. 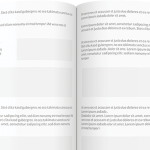 In this final chapter you will see how services such as DNS, email and monitoring are necessary, and why should spend money instead of time for them. Download a sample chapter of the book. You can read more about me at my personal website, my blog, and my answers on Quora. The book is full of practical and timeless advice, but if you don't like it just contact me and I'll refund 100% of what you paid, no questions asked. What happened to Hosting For App Developers? I am a software professional who believes that development and operations are two facets of the same job and that every developer should have the knowledge to operate their own applications. I've been developing, operating and troubleshooting web applications for the last 15 years. I've made many mistakes and I'm sharing what I know now so you won't have to.